Things are coming together for the private HIM October 2nd. It looks like we'll have four racers. Cheryl asked how many people were racing and I said four, me, Kate, and a couple guys I met on the Internet :-). 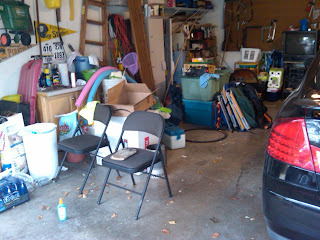 I have some work to do getting the transition area/aid station area together. 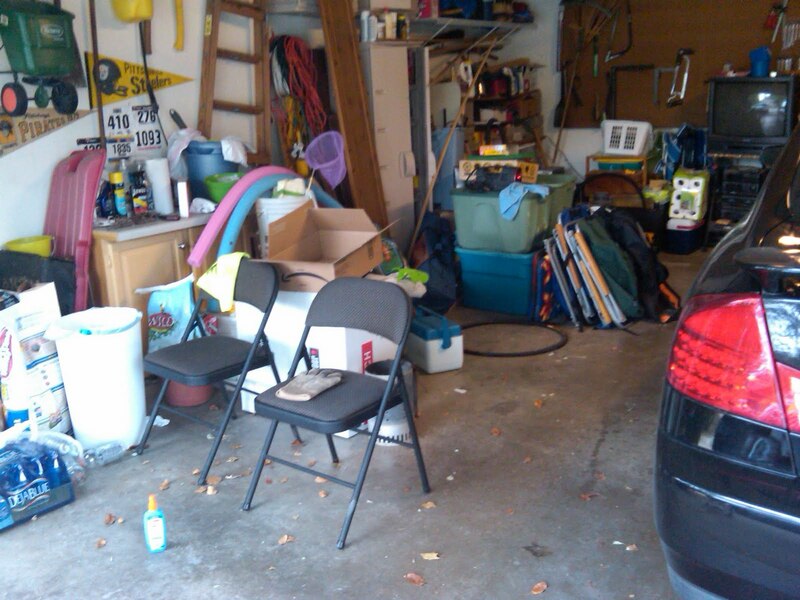 It's a bit of a mess right now. On to some cooking news. I had a couple friends at work tell me about a couple simple recipes this week so I figured I would try them. The first was grilled tomatoes. 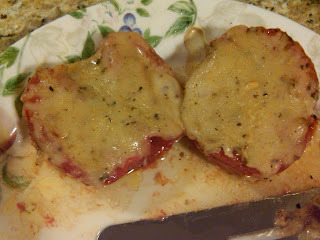 Cut the tomatoes in half, brush on some olive oil, put on some cracked pepper then five minutes per side with the last couple covered in cheese. I used an Italian blend of Mozzarella, Parmesan, Provolone and spices. It was simple to make and tasted fantastic! 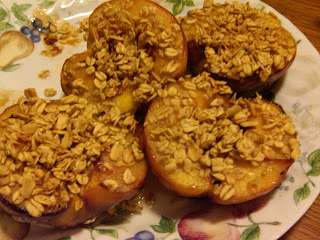 The second recipe was grilled peaches. Cut the peaches in half and pit them. Grill them open side down for a couple minutes then skin side down for a couple minutes. Then drizzle some honey and coat with granola. These turned out pretty good too. I've made somerthing like those tomatoes. Good stuff. I know what you mean about the mental games. Near the end of my run today--like the last quarter mile--I just stopped running. Wasn't any worse than usual, just stopped. And then I thought, Why are you walking?? and ran again. I wish I could make the Private HIM even if the swim would take me all day. Las Vegas is just too tempting. Sooo...how long did you say it would take me to drive to your place for this HIM? I REALLY wish I could be there. "just you and me and you push". That's classic. It was crazy hot here on Saturday too, things are cooling off. Those grilled tomatoes and peaches look great. I wonder how grilled apples would be? We just bought a ton of Calhoun County apples and I don't really know what to do with them. Grilled fruits & veggies- SO yum!! I love grilled pineapple. The peaches sound sweet.